What really happened on United Airlines Flight 553? It was a cold, quiet afternoon in Chicago with an inch of new snow on the ground when a massive Boeing 737 came crashing through the trees. The plane clipped the roofs of a couple of bungalows in Chicago’s West Lawn neighborhood before plowing into the home of Veronica Kuculich, killing her and her daughter, Theresa. The aircraft snapped in two and burst into flames, killing 43 of the 61 passengers on board. One of the people killed was a woman named Dorothy Hunt. Dorothy was the wife of E. Howard Hunt, a former CIA officer who was working for then-president Richard Nixon. 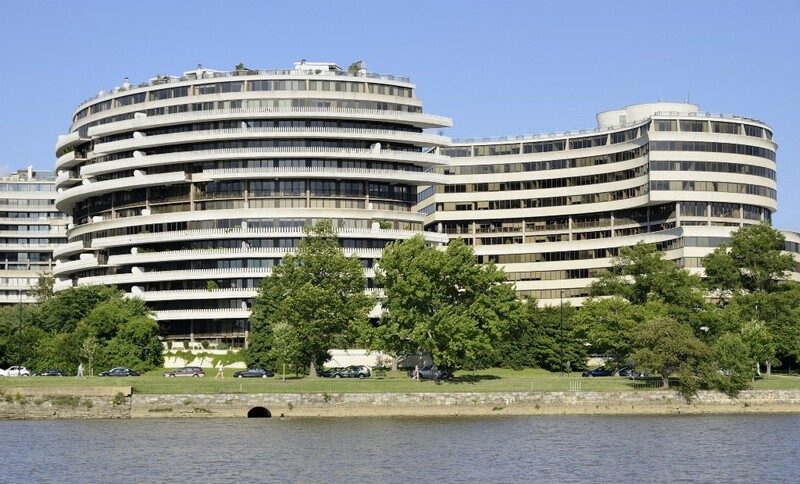 Five months before the plane crashed, Howard had organized the bugging of the Democratic Party headquarters in DC, an event that later became known as Watergate. At the time of the crash, he was under arrest for conspiracy. According to some, there were as many as 11 other people on the plane with ties to Watergate. For that reason — and because $10,000 in cash and cashiers checks were found in Dorothy’s luggage — a lot of people think the government sabotaged the plane. Before you dismiss this as another outlandish conspiracy theory, listen to the evidence. It’s pretty effing nuts. Despite a bit of snow on the ground, it was a clear day in Chicago and there was no apparent reason for the plane to crash. The plane’s pilot had 18,000 flight hours under his belt. Yet the plane crashed almost two miles from the runway. 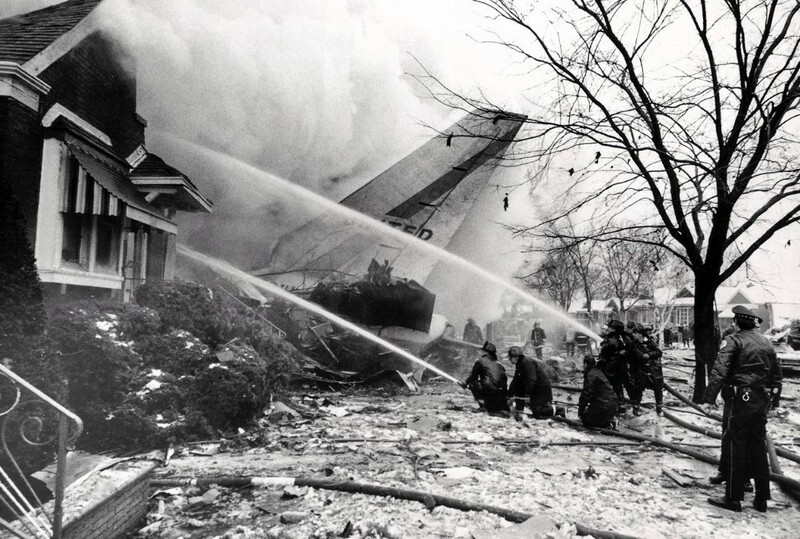 The FBI arrived at the crash a little too quickly, and — according to some — cordoned off the plane for a brief period while they rummaged through the wreckage. What were they doing in there? Sherman Skolnick, a prominent legal researcher from Chicago, supported the theory that government meddling was responsible for the disaster. 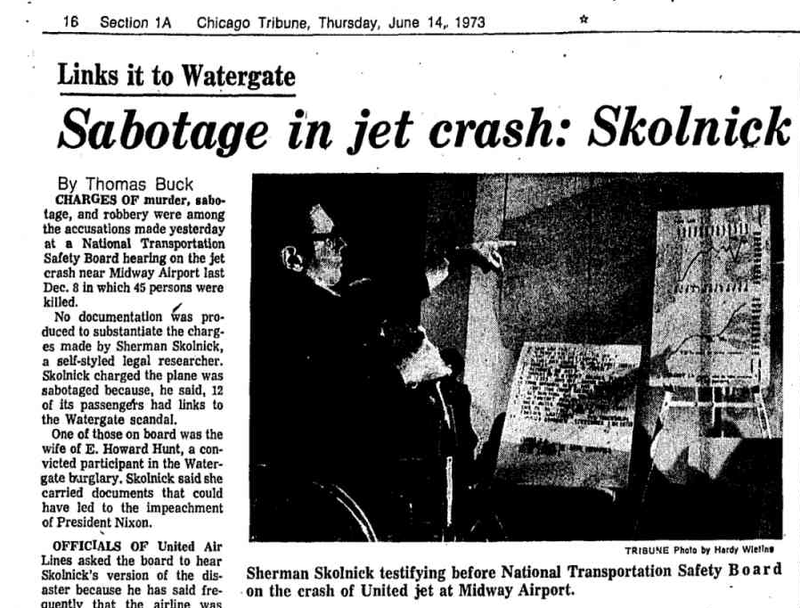 In 1973, a few months after the crash, Skolnick testified in front of the National Transportation Safety Board (NTSB) that the FBI had conspired with United Airlines, air traffic controllers at Midway Airport (where the plane was supposed to land) and the NTSB itself to bring down the plane. Not surprisingly, the NTSB was not super receptive to this theory. 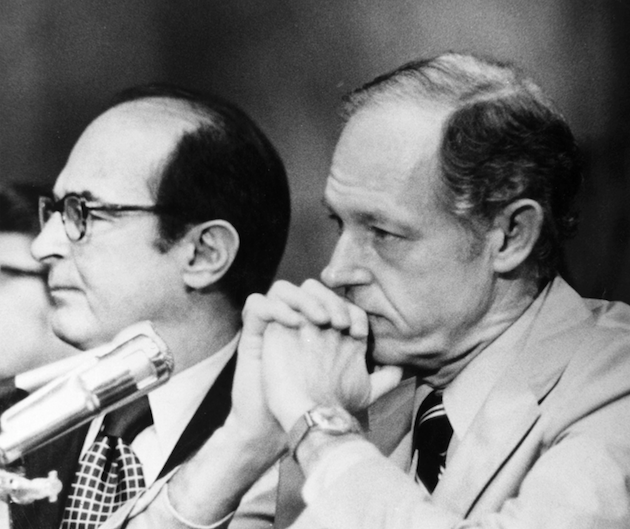 Skolnick believed Dorothy Hunt was carrying documents that could have led to Nixon’s impeachment, and that Nixon had orchestrated the crash to silence her forever. Skolnick also speculated that the cash found in Dorothy Hunt’s luggage was “hush money” from Nixon, intended to silence people with knowledge of the Watergate break-in. Skolnick may sound crazy, but he had a degree of credibility from having dug up information on two Illinois Supreme Court judges who’d accepted illegal bribes. His investigation caused both judges to resign. In other words, he wasn’t some random wacko. The NTSB didn’t buy Skolnick’s story. They did an investigation into the crash of United Flight 553 and found pilot error was to blame. In their report, the NTSB said the pilots were futzing with the aircraft’s flight data recorder, which wasn’t working for some reason, instead of properly preparing the plane for landing. 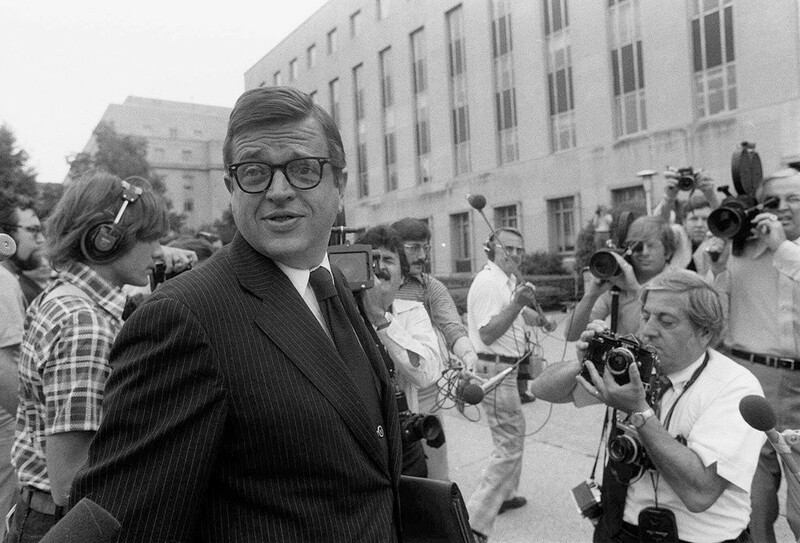 Colson may look like a “Mad Men” character who could sell water to a well, but he was actually a powerful government operative who worked as an advisor to President Nixon. 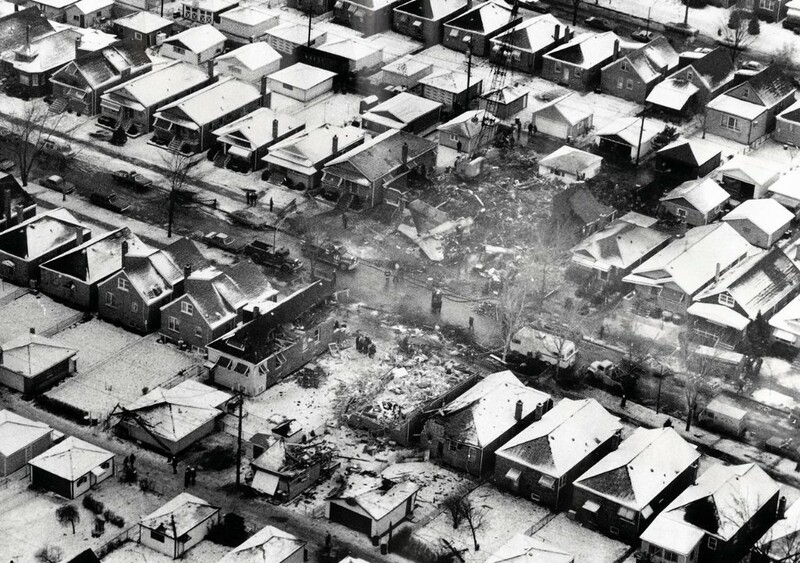 Colson told a private investigator in 1974 (two years after the crash) that he thought the CIA deliberately sabotaged the plane in order to kill Dorothy Hunt. Colson’s theory was that Dorothy was killed to cover up a story about the CIA spying on members of Congress. This was supposedly part of a grand plan to take over the country. Does that sound crazy? Kind of. But remember — this was an educated, well-positioned man, and his allegations about CIA foul play were printed in TIME magazine. “Looking at this story in 2017, it doesn’t look very plausible,” Gary Fine, a sociologist who studies conspiracy theories and collective memory, told me during a recent phone conversation. Now, I don’t believe a government agency is behind the crash of United Flight 553 on that cold December afternoon in Chicago. But I’m fascinated by the fact that there are people who do. In other words, the world is a chaotic place, but accepting that can be hard for people, so they try to construct meaning from events that are essentially meaningless. My takeaway from this whole conspiracy theory is pretty much the same as my takeaway from conspiracy theories about the JFK assassination, 9/11 or the Sandy Hook shooting: Humans are natural storytellers, but the stories we tell ourselves are usually designed to provide us with comfort rather than the cold, hard truth. Because straight facts can be really unsatisfying. Could You Land A Plane In An Emergency?